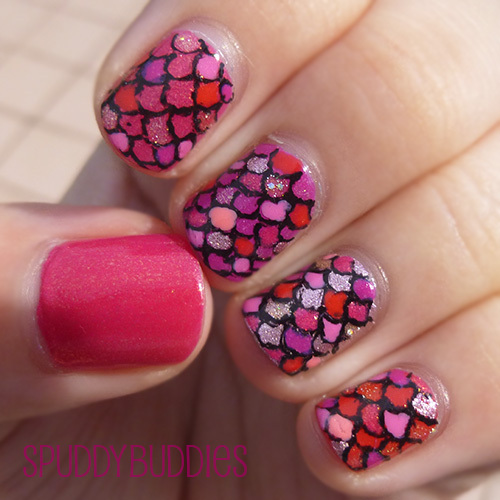 Since I received such overwhelming love for the mermaid tail nails that I did two months ago, I decided to do another version but this time in shades of red. 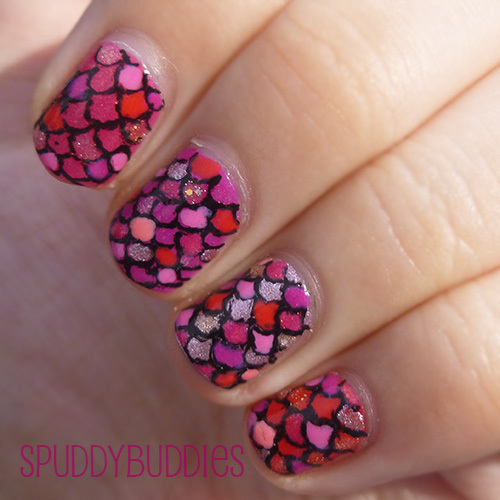 I myself LOVED the mermaid nails that I did and was so excited that you all loved it too. 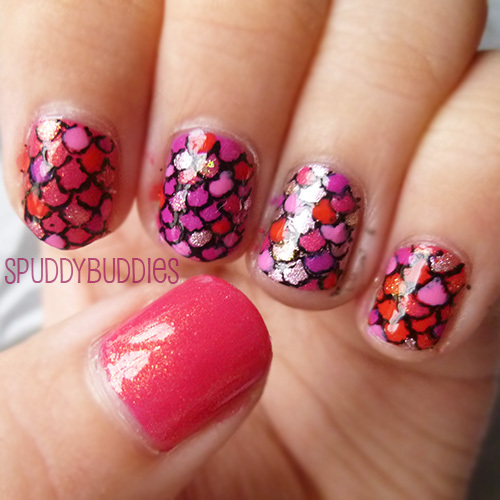 I was sitting around wondering what next to do for my nail design when it clicked in my head. 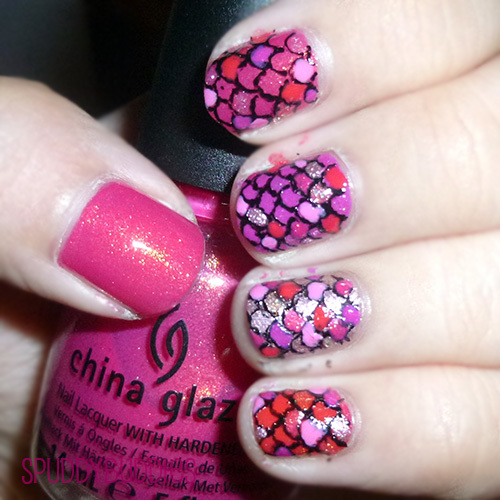 I can do mermaid nails in shades of red! The image in my head was so pretty so I knew I had to do them. 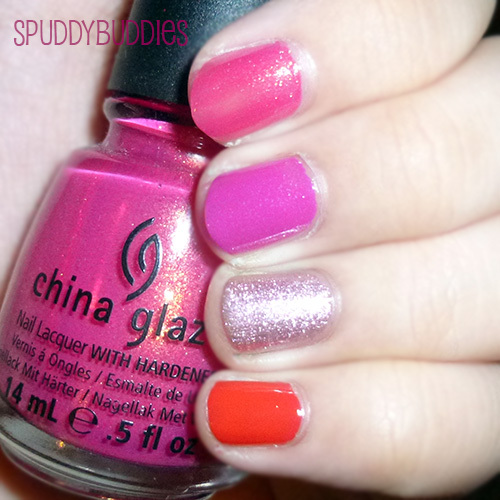 This picture was taken after applying one coat each of polish to my nails so that is why you can see some patchiness. 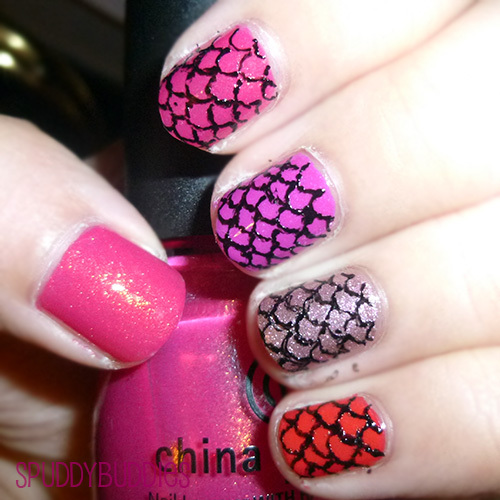 Then I used my black nail art pen to create the scales. I think this time around I made the scales around the same size so that's good. A bit of blurry goodness? The finished look! 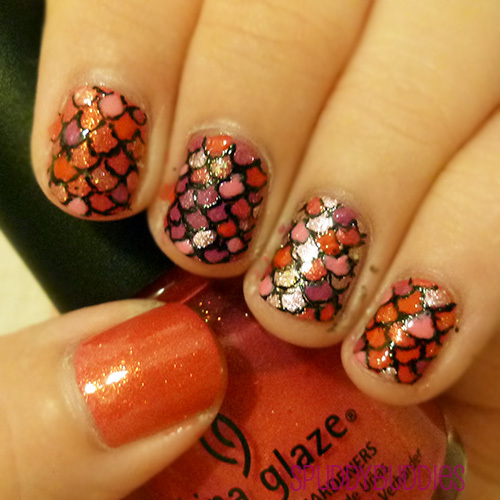 Again, I didn't do scales for my thumb nail. 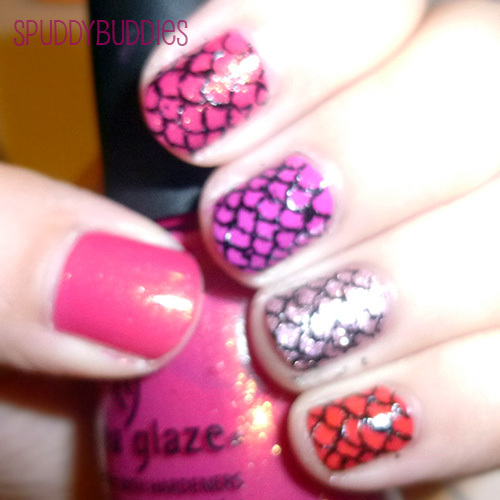 :D I alternated all the pink polishes to color the scales. Oh, and I also used Love & Beauty - gold glass flecks and Love & Beauty - gold glitter for some scales to give it a glowy golden look. 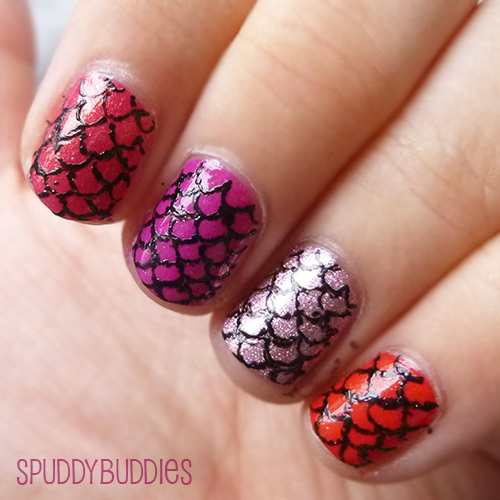 Aren't these mermaid nails GORGEOUS?! 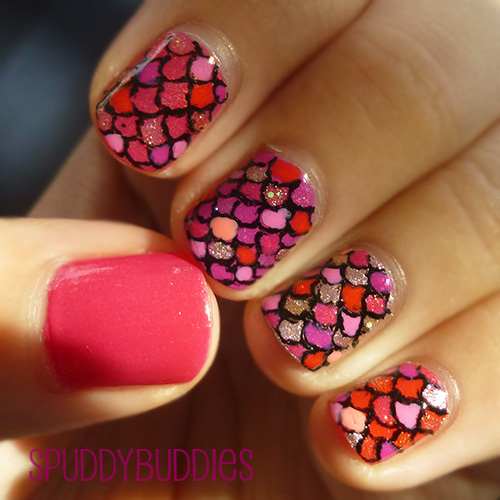 They are so much more sparkly in real! They're actually not as tedious as you might think. Drawing the scales probably requires the most effort but filling the scales with color is my favorite part. Oh, and they also don't have to be perfect because from afar they look fabulous just the same. 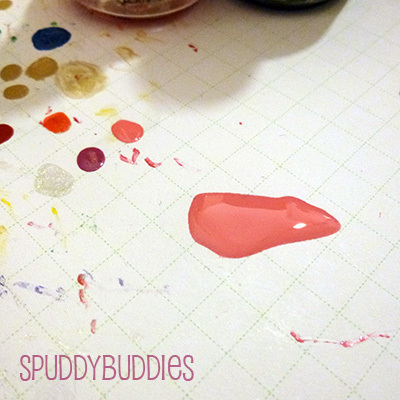 I'd love to try them with a different color scheme next time. Maybe green? If I can gather enough different green polishes, haha. 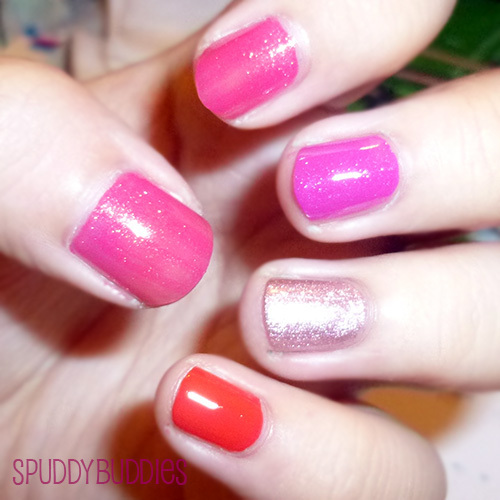 Do you love these nails?! 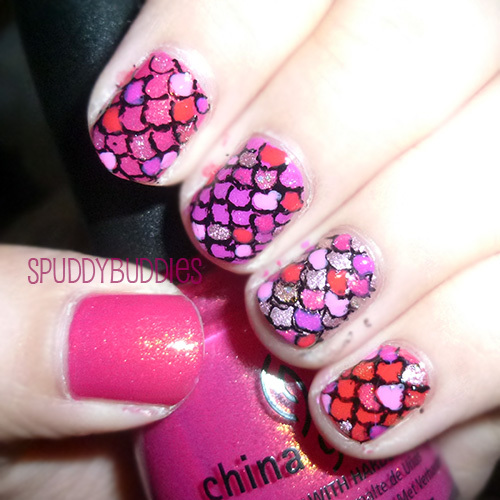 Do you love mermaids like I do? 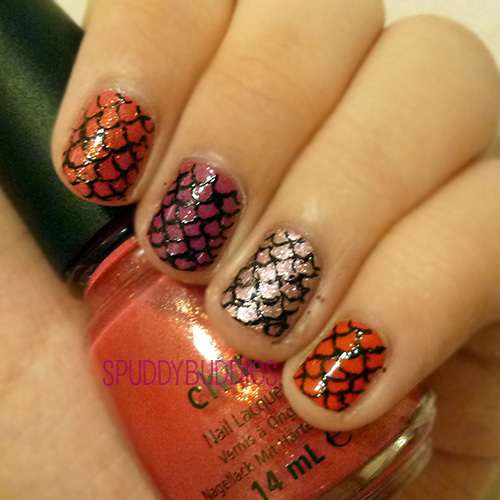 Do you prefer this version or the first version of my mermaid tail nails? Tell me in the comments, I'd LOVE to know. Also, it seems like I'm still getting hits on my Bioshock nail art (I bet my sister is so proud of me)... maybe it's time to do another Booker and Elizabeth-themed nail design?! Which picture would you have me use as inspiration? By the way, are you liking the bigger pictures or do you prefer them smaller?